God made children amazing, in so many ways. One of those ways involves their ability to adapt and cope, in spite of difficult circumstances. One of our young boys latched onto a rather unique, but effective and fun way of coping and processing. 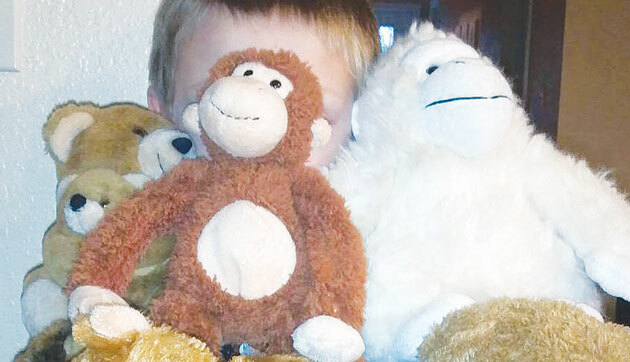 After arriving at Coyote Hill, he collected a variety of stuffed bears and monkeys. He gave them all names – some of them named after family members, others named after new friends he made at The Hill. His Home Parent Mom, Mandy Wallace, explained, “After Jordan* came to our home, he named the animals and began to talk to them, treating them like friends. They took on some of the personalities of the people they personified. We tucked them in, told them bedtime stories, and talked to them when they were being unsafe or making bad choices (which is something Jordan struggled with.) He corrected their behavior and taught them to make good choices. Whatever it takes – even an armful of fuzzy toy “friends” – our children find healing and wholeness, thanks to your support!